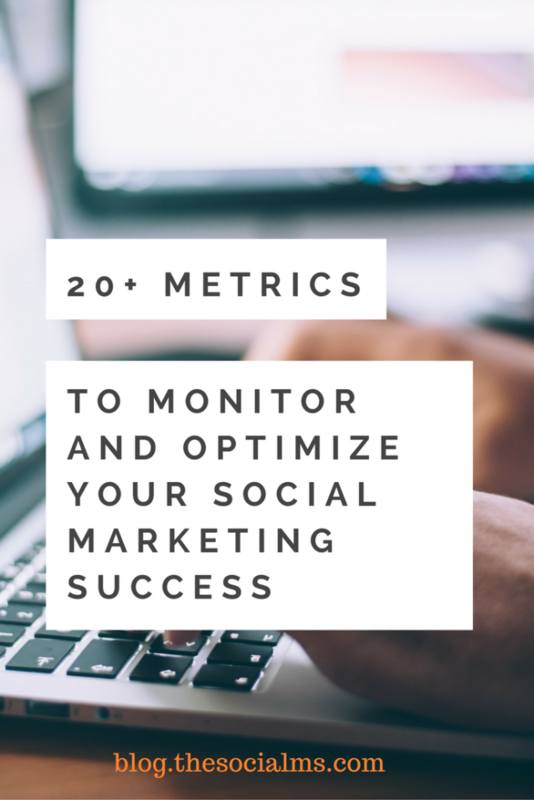 This is the second part of our list of metrics you should know about for your social media marketing success. 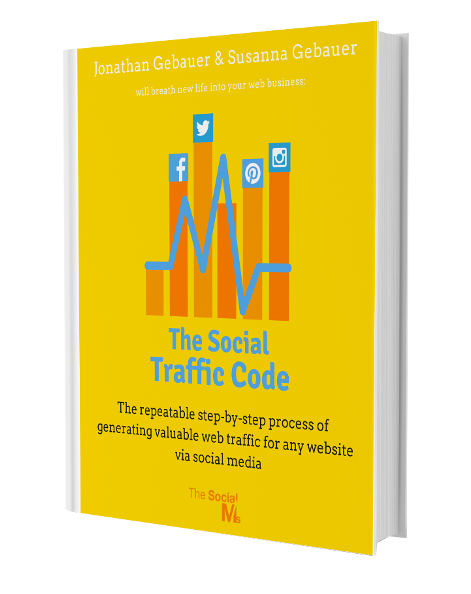 In the first part we introduced you to some metrics around your social accounts and the traffic you drive to your own website. You can find the first 12 metrics in the first part of this list here. In this second part of this article we are going to take a closer look at metrics, which put your effort and investment into relation to the results – and we will talk about some more conversion oriented metrics. The content rate is about the number of pieces of content you produce (and publish) in a set period. Different types of content will make a difference in your marketing results. If you are using more than one type of content you should consider to split this metric up into separate metrics per type of content: number of blogposts per period, the number of webinars per period, number of videos per period, etc. This is the number of posts you make in social media in a set period. If you are active in more than one network, it makes sense to watch this number separately for the different networks: How many tweets per period, how many Facebook updates, how many pins on Pinterest, etc. Different types of posts work entirely different in the social networks. If you take part in a lot of conversations on Twitter, you may tweet a lot and connect to other people. But to get traffic to your site, you need to share links. Monitoring post types means to break down how many posts you made of a particular type of posts. For instance, count the number of tweets including a link to your website, how many retweets of other peoples’ content and how many conversational tweets did you post? Or on Facebook count the number of links you shared, the number of pictures and text updates. If you are looking for engagement in social media, you need to take an active part in social media conversations. Monitoring the percentage of times you answer to a brand mention or a question is a good way to monitor if you use the chance of getting in touch and connecting with your audience. If you leave a lot of questions, mentions unanswered, there is a huge potential for you to unlock. It makes a difference how fast you respond to comments or questions in social media. If it takes you too long, people will often have lost interest or not even notice any more that you did answer. The average response time can help you figure out where you can do better. If you are not spending much money on your marketing and your results are meager, you may not gain much with it, but you do not lose much either. But if you are spending a considerable amount of time and money on your marketing and it still fails, you are wasting this time and money. Also the amount of money you have to invest for certain results is crucial for the decision if you can expand or scale what your are doing. So far we have talked a lot about metrics, which all are good to monitor and which can give an indication that your marketing efforts may get you somewhere. But the metrics we have considered thus far do not tell much about turning your audience into actual customers and making money from them. The next metrics are much closer to lead generation, customer acquisition and actual sales. Many people work with some form of signups or subscription for instance for a newsletter. If you have a signup form on your website you want to see if people are using it. Especially if you are using some kind of freebie or give-away on a landing page in exchange for email addresses and are driving traffic to this landing page, you want to make sure it works for your audience and people are signing up. If it does not, you should consider changing either your targeting or the freebie you are offering. This is the number of potential sales contacts you earned with your marketing efforts. There are different ways to acquire leads. Some people may get in touch with you, some people you may identify on your email list, and some you can actively approach via social media. However, one of the primary goals of marketing often is to acquire leads. If this is your goal you need to watch this number. A conversion is the ultimate action you want your contacts to take. This can be a registration for a platform or a forum, a signup for a newsletter, a download, etc. The conversion rate is the number of conversions in relation to the total amount of traffic or visitors. This is one of the most important numbers to watch if you want your audience to take a certain action. Still, a conversion is usually on a later stage in your marketing process and in order to get there you need to watch many other numbers first, for instance you need visitors (traffic) to your website, before these visitors can take another action on your site. This is a very crucial number to watch. Recently I read about a couple of startups who failed because they failed to acquire new customers with a reasonable amount of marketing money spent on this acquisition. While acquiring customers is important, it is much more important to do it on a budget. The calculation is simple (at least on the surface): If it costs you x Dollars to acquire a customer and this customer is giving you y Dollars in revenues, y should better be bigger than x – otherwise this customer is costing you money instead of bringing you any. This is often treated as the ultimate answer to the question if social media marketing is worth the effort in time and money spend on it: The return on your investment or the revenues generated by your social marketing efforts divided by the expenses. What sounds straightforward is often hard to measure. The easiest to calculate is the marketing costs. It gets harder to identify exactly which of your customer were acquired via social marketing. And the impact your social media marketing and branding efforts have on your other sales and marketing channels is hard to figure out. In addition the time span between starting your social media marketing and it paying off in revenues is often relatively long. Still it is an important metric, and it is worth spending some amount of time on calculating it. The above metrics are all important, but the list is in no way complete. Some of the metrics are more important for your marketing than others. You should be aware of the metrics and should, at least, watch some of them. As your marketing matures, you should monitor more numbers and even identify some more metrics, which can be very relevant to your situation. Monitoring the right metrics can also help you make decisions, argue with your boss or convince customers. If treated with care, numbers rarely lie.